Why It Is Important To Exchange Insurance Information At The Scene Of An Accident, No Matter How Minor | LeBaron & Jensen, P.C. Getting in an accident is scary and even if it is just a minor accident, can be a nightmare. From repairs to knowing what injuries your insurance covers, a car accident is a hassle. 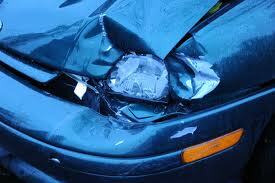 Dealing with the insurance process after a car accident is a lot easier if you know the details of your coverage. The main question you will have is who will pay for the damages.